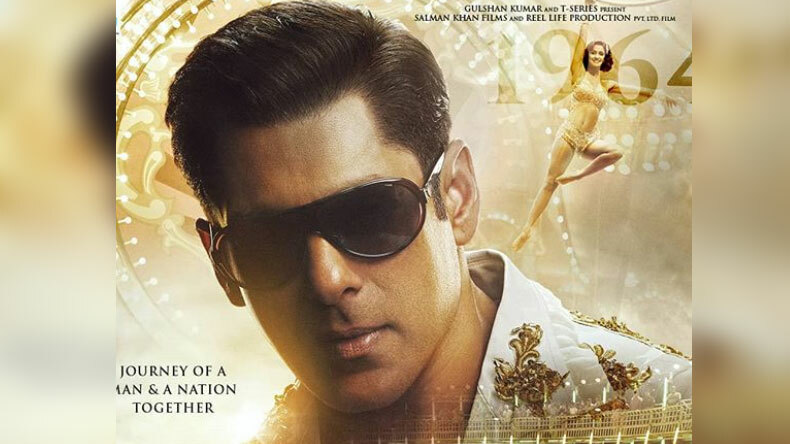 Bharat new poster: In order to create more excitement among the audience, the makers of the film have released another poster of the film Bharat. Some hours back, the makers unveiled Salman Khan in an old man’s avatar with grey hair and beard but as per the latest poster, Salman Khan is looking dapper in a younger look. The new poster is a complete contrast to the first poster. In this clean-shaven look, the actor killed the Internet with his looks. Meanwhile, apart from the superstar, Disha Patani is stealing the show carrying the 60’s look. Flying high in the corner, the hottie has captured many hearts with her never-seen-before looks. For those who are not much aware of the actor’s presence in the film, Disha Patani will be essaying the role of a trapeze artist in the film. The hardworking actor will be seen performing some powerpack stunts in the circus. Not only this, Bollywood actors Salman Khan and Disha Patani will also appear in a hot song which will be set against the backdrop of a circus. So in all Ali Abbas Zafar’s film will be a pack of surprises for the fans. The film will hit the silver screens on June 5, 2019. The film is an official remake of South Korean film Ode To My Father which is a journey of a man and his nation together. The film is a drama film which is directed by Ali Abbas Zafar and is jointly produced by Atul Agnihotri, Bhushan Kumar, Krishan Kumar, Alvira Khan Agnihotri, Nikhil Namit and Salman Khan. It features stars Salman Khan, Katrina Kaif, Jackie Shroff, Tabu, Disha Patani and Jackie Shroff in lead roles. Salman Khan will also appear in Sanjay Leela Bhansali next film Inshallah. In the film, Salman Khan will share the screens with Alia Bhatt for the first time, which will hit the screens in 2020.